Keeping Up With Jesus … but tired! Sunday’s readings were about Jesus walking. I know you think it was about Jesus healing a deaf-mute, but from my perspective it was about walking because I was trying to keep up with him. Yesterday I walked 12 miles from HaOn on the east side of the Sea of Galilee around the southern tip and back north on the west side to Tiberias. It was about 90 degrees and the sun was blistering. Everyone thought I was crazy. They are right, but I’ve always liked being a bit crazy because you get to do things other people don’t get to do. 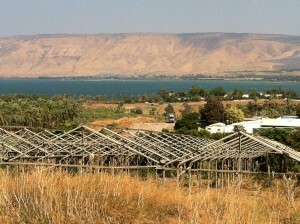 Over the last five trips to Galilee I’ve been running (and now fast walking until my knee is fixed) around the Sea of Galilee. It is 33 miles around. Yesterday I finished the last leg and can feel it in my body this morning. But back to Jesus. The reading Sunday from the Gospel of Mark begins, “Then he returned from the region of Tyre, and went through Sidon to the Sea of Galilee, through the region of the Decapolis” (Mk 7:31). 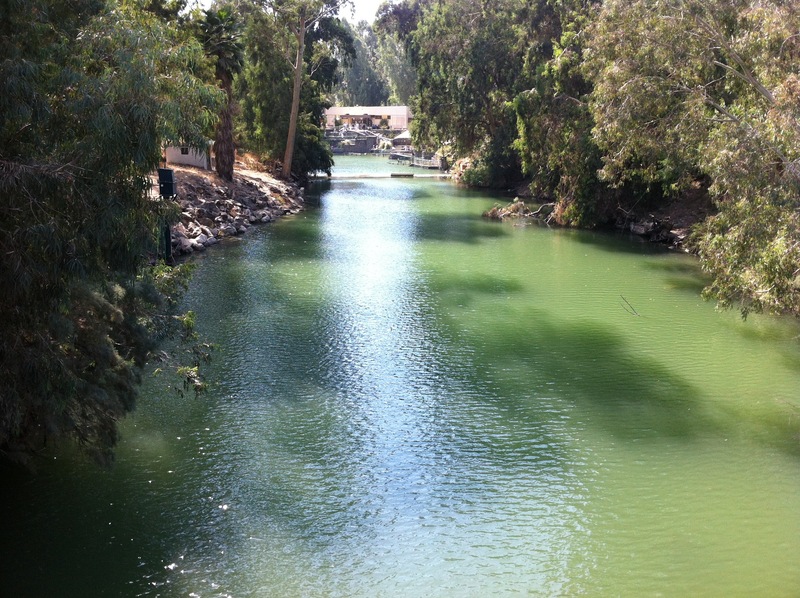 You probably buzzed right over that verse without a second thought — but start walking through Israel on a hot day and that verse jumps right out and grabs you by the knee caps. 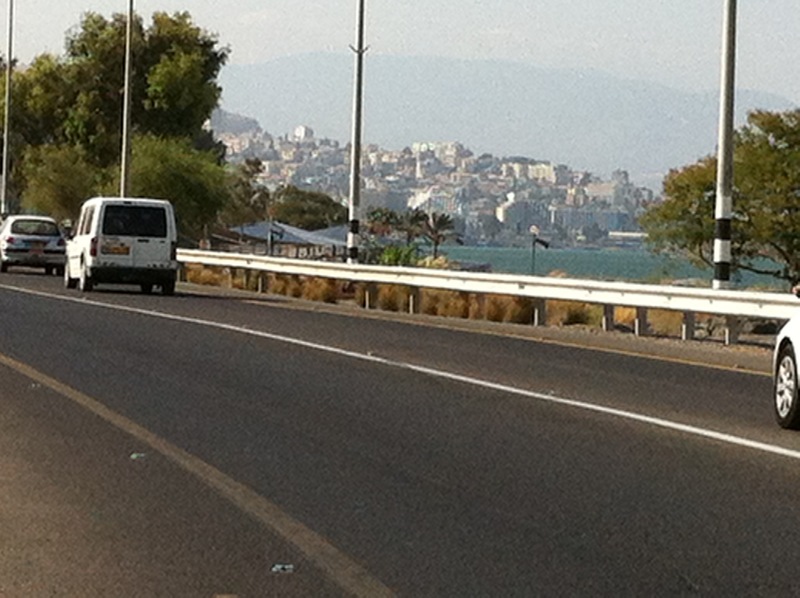 From Sidon to Tyre to the Decapolis east of the Galilee is not a walk through the park. As the crow flies it is about 68 miles. When was the last time you walked 68 miles through hilly territory with primitive sandals in the blaring heat? Yesterday I did a bit of that. 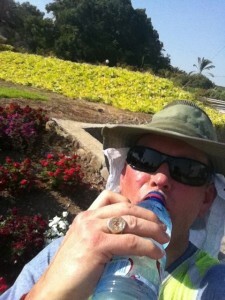 I started in the Decapolis area east of the Sea and then walked a mere 12 miles. And I was wearing expensive running shoes, a Tilley hat and I stopped every few miles to buy a bottle of water for 7 shekels. The whole way I was talking to Jesus (people thought I was talking to myself like the crazy man I am) telling him to slow down and let me catch up. "Pass the water Jesus; I'm trying to keep up with you guys!" I pictured Jesus with the 12 disciples walking along, talking, laughing, stopping for drinks from the sea and discussing important matters of the Kingdom. They probably covered 25 miles in a day — it took me just under 4 hours to cover 12 miles and I was walking pretty fast without too many stops (except to take pictures and buy water). These were manly men with gnarly feet, sun browned faces, covered in perspiration and very wiry and muscular. I like to assume their feet were a bit sore at night and they rubbed the soreness from their legs too. But then again, they did this every day. So yes, Jesus miraculously healed a man using sign language instead of words since the man was deaf. He put his fingers in his ears, spit and touched his tongue — signs the man would understand. Jesus had a divine appointment with this deaf-mute and walked 68 miles to keep his appointment. How many miles has Our Lord walked to keep an appointment with YOU today. He certainly has come to you but maybe we didn’t keep the appointment ourselves even though he walked so far to meet us. He has come to us because we all need healing. We need our hearing restored to hear Jesus better — we need our tongue loosened to better tell others about Jesus. We are the deaf-mute and Jesus has come to heal us — and he walked along way to get to you. It is a great blessing for me to live the Bible in the Holy Land. It would be selfish of me to hoard my experiences, which is why I try to share these stories with others. The Gospels are alive!. I would be remiss not to share some of living gospel in the Holy Land with my friends. So, off I go again …. Stay tuned …. 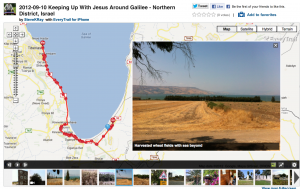 To see the interactive map, videos and pictures of this walk with Jesus, click HERE.